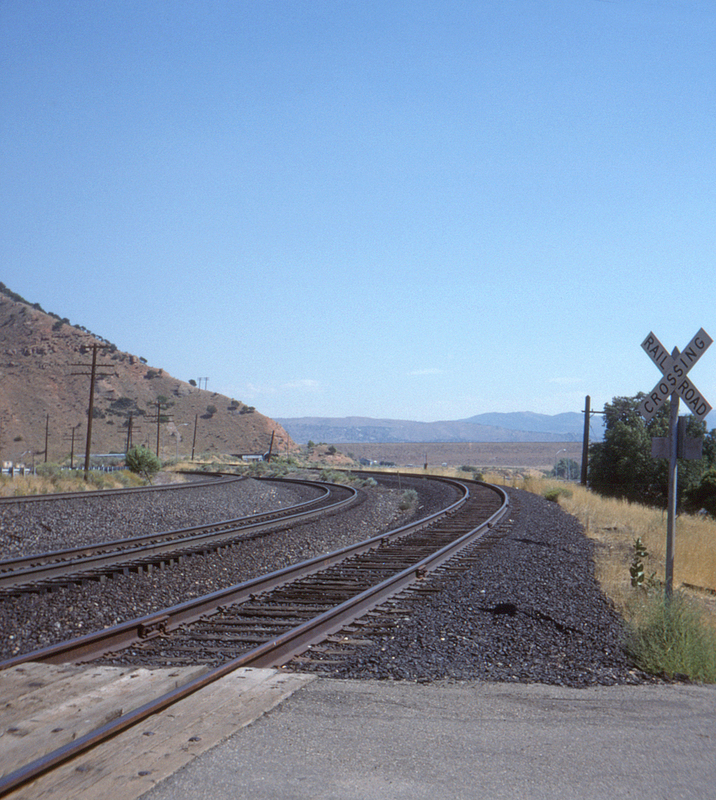 At the little town of Echo, Utah, the Union Pacific mainline makes a sharp right-angle turn (actually closer to 80°) as it leaves Weber Canyon and begins the ascent of Echo Canyon. This view looks northeast (upgrade). This page posted 7/1/2018. Text and photo ©2018 Lamont Downs.